Happy Christmas to all! 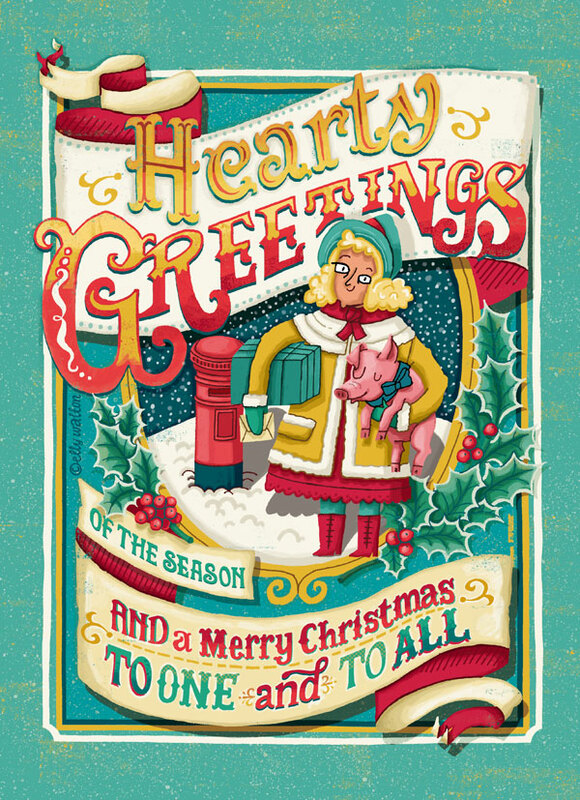 This is my Christmas card for 2014 going out to all clients and friends, inspired by Victorian Christmas cards of old with their twee themes of girls in dresses and…pigs??! Yes it’s true, pigs seem to feature. Had lots of fun with hand lettering and layout on this one, for more hand lettering projects and to see the sketches and work in progress on this card please take a look at my site. Here’s to a great 2015 for all!